1) On 3 March 2015, for the _____ time in Rajya Sabha’s history that an amendment moved by the opposition to the motion of thanks to the President’s address has been passed? 2) Which country recently unveiled a new political theory named “Four Comprehensives”? 3) _____ on 3 March 2015 launched National Electoral Roll Purification and Authentication Programme (NERPAP) throughout India? 4) A bill banning the cow slaughter in which state received the President's assent on 4 March 2015? 5) Ratings agency Moody’s has recently downgraded ratings for which banks? 6) World's largest and tallest Indian tricolour was unfurled at Town Park in Faridabad on 3 March 2015. Faridabad is in which Indian state? 7) M C Mary Kom on 3 March 2015 said she has decided to quit boxing after the 2016 Olympic Games. 2016 Olympic Games will be held at? 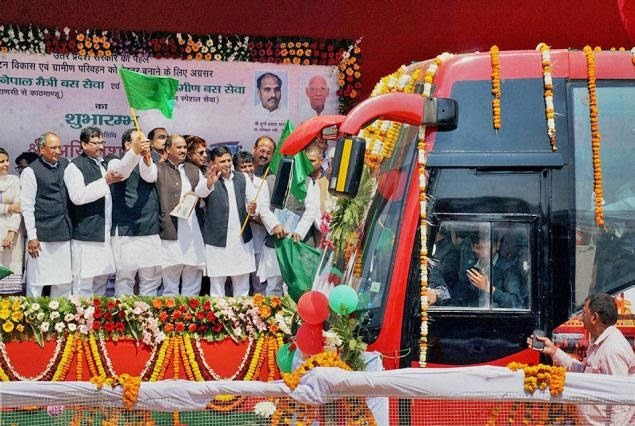 8) “Bharat-Nepal Maitri Bus Seva” was flagged off by Uttar Pradesh Chief Minister Akhilesh Yadav in Varanasi on 4 March 2015. This bus service will connect Varanasi to? 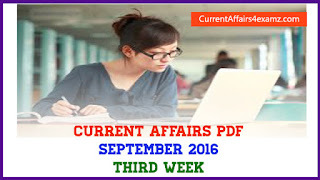 9) Lok Sabha on 4 March 2015 passed the Insurance Laws (Amendment) Bill, 2015. This bill provides for raising the foreign investment cap from 26 per cent to ___ per cent? 10) Reserve Bank of India (RBI) on 4 March 2015 has cut down repo rate by 25 basis points to?